The Chernobyl disaster is widely considered to have been the worst nuclear power plant accident in history, and is one of only two classified as a level 7 event (the maximum classification) on the International Nuclear Event Scale. This series document some of the spaces within the 10km exclusion zone which to this day is still unsafe for human habitation. It is as serene an environment as it is dangerous & although nature has done its best to reclaim it the human detritus abandoned almost 30 years ago makes it impossible to forget what came before. The Relics project has been conceived as an opportunity to utilise the photospherical medium to engage audiences with the unique culture & heritage of Wales. 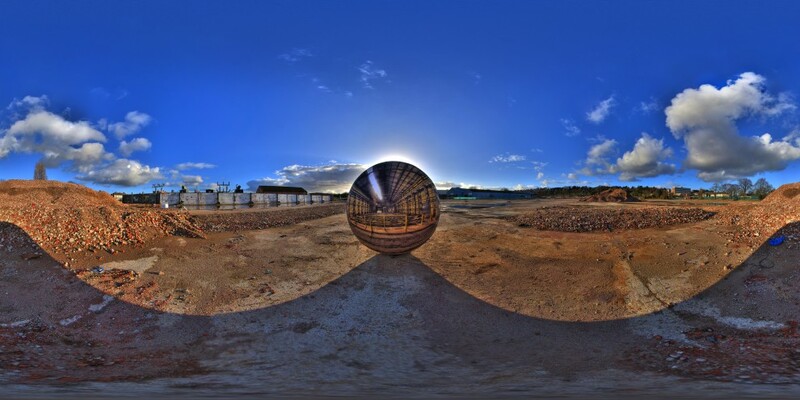 Keep an eye out for a number of photospherical installations which will be occuring across Wales at various CADW sites during late 2014 & early 2015. One of four photospherical installations undertaken between 2008 & 2009 which explored notions of loss & memory as part of my creative input towards the 'Ghosts in Armour' project. Ghosts in Armour explores the loss of the steel industry across Europe and the effects this has on the physical spaces & communities left behind. Taken from the roof of the Empire State Building this Tiltshift Panorama miniturises the view looking towards the mighty Hudson river. A selection of natural landscapes from around Wales. Conducted in late 2006, this series of images were commissioned to showcase the range, Urban Fairies, by Portuguese fashion designer, Susanna Mota. A small number of panoramas from a whistle stop visit to the rim of the Black Canyon of the Gunnison, Colorado 2012.